Trulia is a real estate listing search site. It has lots interesting data on it. You can find or perform lots of analysis with the information they offer -- besides just plain poking around, which is plenty fun. Homely Real Estate agent thumbnail photos! Collect 'em, trade 'em with your friends! Trulia calculates a Rent vs. Buy scenario for the fifty largest cities in America by population. They take into account the usual costs of homeownership, too, like property taxes and HOA fees and the like. They offset those costs with the tax advantages available to homeowners. Their most recent conclusion? 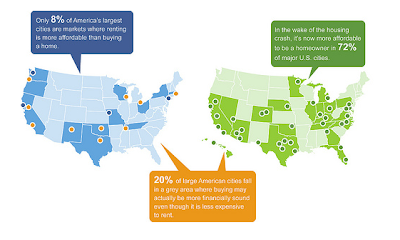 In 72 percent of the fifty largest cities in America, it's more affordable to buy than rent. And in another 20 percent, it's so close that you might want to buy anyway. 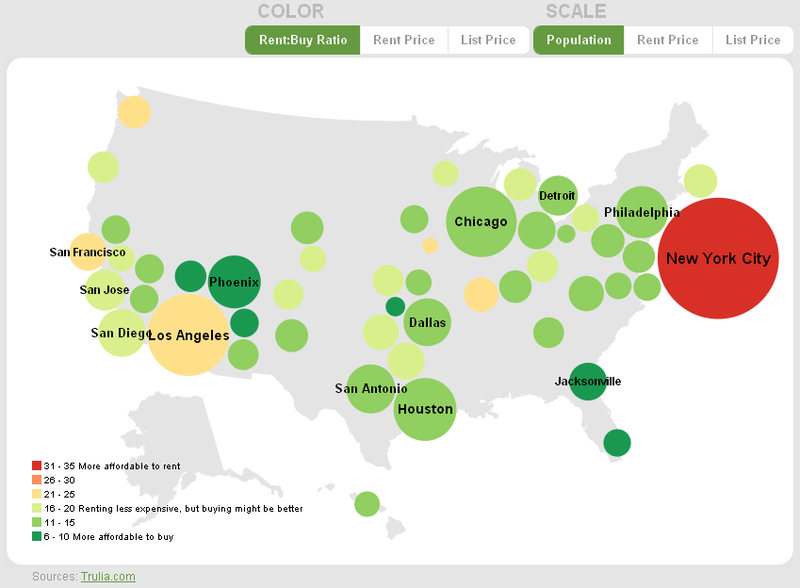 They've got another interactive chart where you can see why everyone that writes for the New York Times thinks buying a house is stupid and prices have to fall eleventy thousand percent before you'd have to even think of dirtying your hands doing things a doorman does. If you never go where the subway doesn't, you get some interesting ideas of how the world works. Me? I'm not interesting in living in any of those places. And if I lived in Los Angeles or San Francisco, I wouldn't buy green bananas, never mind a house, but Trulia doesn't measure insane governance. But the dirty little secret is you have to live somewhere, and you can't live with mom forever. The ultimate denouement of the destruction of the housing industry and the degradation of mortgage financing is not going to be supercheap housing if you just hold off buying long enough. It's going to be no house, high rent, or eventually mom's going to have to spring for a bigger mailbox to hold all those AARP newsletters when you're both receiving them. Yeah, I see this first hand everyday. When I bought my house, the mortgage was less than what I had been paying for rent. The escrow made it a little more expensive, but now 5 years later, I'm seeing signs for rent in multi unit buildings in my town that are more than what my total mortgage payment is with the escrow.